Do you work for Keeper? Millions of people & thousands of businesses depend on Keeper's password manager and digital vault to substantially reduce the risk of a data breach. Keeper is the world leader for securing passwords, documents and sensitive digital assets. With Keeper, your business can auto-generate high-strength passwords, protect sensitive files in an encrypted digital vault, securely share records with teams and seamlessly integrate with SSO, LDAP and 2FA. Start a 14-Day Free Trial Now. Learning about Keeper? We can help. Keeper is an excellent password manager, that supports multiple devices so that you could keep it around anywhere. Your passwords as well as private and payment information are stored in an encrypted safety vault, which is pretty convenient, as there's no need to remember the info. Login details could be divided into categories and have a photo or file attached. The application autofills the data into the platforms and enables you to log into with fingerprint. Keeper comes equipped with a random password generator, that fosters having different passwords for every platform. The program provides useful features, such as cloud backup copy or synchronisation between multiple devices (Emergency Access). Also, Keeper supports many two-factor authentication methods (SMS, Touch ID, Face ID, Google Authenticator, etc.). The graphical user interface could be more user-friendly and transparent, as it might be challenging to configure and customise the application. Personally, the price could be lower, as Keeper is a simple tool. If you are looking for a password manager a password management solution with powerful security features and secure information sharing system, you might consider Keeper. Keeper is the best place to store login information as well as payment card information. The application is well integrated with many platforms so that it's an excellent timesaver. "A way to securely share complex passwords with cowokers"
Not too long ago, all passwords were the same to allow for our teams to easily access servers and accounts. Now, we use Keeper to share randomly generated passwords (from within Keeper) that enhances our security. Keeper has applications and a web portal so we can access our credentials from any machine. The web interface is a bit clunky, and slow to load. Their iOS application works but is out of date on the UI front. Feature wise, it works great. If you're looking at Keeper from a cost perspective compared to the competition, I'd say they may lack in a few areas but offer most of the same functionality. We had security issues with people using easy to guess passwords, and having that be the password for multiple services. Now, we have complex 16+ character passwords that we can simply copy and paste from Keeper into our servers. На мобильном телефоне иногда странно себя ведет. При попытке залогинится в какое нибудь приложение, система вместо логина и пароля предлагает данные visa карты и при этом не дает возможности выбрать логин вместо карты. Приходится искать и копировать пароль вручную. Еще один глюк связана с автовходом на сайты. Т.е когда я открываю страницу, кипер сам распознает, заполняет ее, и пытается войти. Но если пароль ошибочный то кипер начинает просто издеваться над страницей. Сайт говорит пароль неверный и просит ввести заново и кипер тут же вводит опятл неверный пароль и так по кругу. И однажды при входе в банк, пока я понял что к чему моц банковский аккаунт уже заблокировался. Вообщем кипер должен следить что если через секунду опять появилась страница с того же сайта с логином и паролем, значит что то пошло не так. "This App is a Life Saver!" I've been using Keeper for storage and maintenance of the close to 300 passwords that I have to keep up with...for the past 5 years. I can't express to others how incredibly valuable the Keeper Software is to me...and to my wife. We pay for the Sync Services...which is great because our information is stored, securely, in the cloud, and updates across all of our devices. I use Keeper for my personal records and not specifically for work/business...although I do also keep track of my work-related logins and passwords. "Excellent Password Keeper / Organizer"
It is easy to share passwords with co-workers and change passwords and keep everything up to date. Also great "roll the dice" option to create a secure random password. Has an app that you can use on your phone that will allow for fingerprint login. Has a Google Chrome plugin as well. I love all of these features! Dual authentication may make you do it several times once your remember computer time is up. Other than that, it's GREAT!!! I have personally used another product that was similar to Keeper. I ended up switching my personal password keeper to Keeper as well. It is really easy to use and store passwords as well as share them. Because it is so easy to share passwords we no longer run into situations when we are locked out and having to track down someone who changed the password, they just update it in Keeper. I like that you can feel confident that keeper protects your passwords. The fact that the yearly subscription rate went from $9.95 to $29.95. That being said I feel like the optional functions/upgrades should be included or at least some of them. Also, multiple users in the same family should get a discount without having to merge/switch accounts. My husband & I both had keeper when it was $9.95 & want to keep our original seperate accounts & feel like we should get both for the family subscription price. Additionally, I don’t need to put it on more than one device so I shouldn’t have to pay for the ability to use it on multiple devices if I am not going to use it. I also get really IRRITATED when I am prompted on the app all the time to upgrade or remain ‘unprotected’. There should be some additional options included with the yearly subscription price. I love that i can edit, add, delete and store of all my passwords in one location that i safe and secure. I highly recommend this app for anyone. I have never had any issus with the software crashing or being unavailable. I like that the premium service allows you to remotely access your account. I wouldl like if that part was free. "5 yr Plus happy user"
I never have to remember each changed password. In my job I have to use many Bank passwords that need to be changed often, this makes sure I have all of them on my phone or even on my computer. Also love the ability to use facial rec! Love the folders, where I can keep office and personal and my 80 year old mother information separate. Not just passwords bur membership #, SSN, medicare # - sp when I need to help with appointments etc. I have the numbers! Right now - nothing, with each upgrade new and better solutions to my every need. I have been able to create better and more secure passwords, some I can remember using sentences, but with keeper - I just have to take just a moment to look it up! "Great app that provides peace of mind!" There’s nothing I dislike about the app. I use this for my work passwords and my personal passwords and it reduce the personal frustration of having to remember apps and getting logged out and starting that whole frustrating cycle. "The cloud based KEEPER syncs with multiple devices." Whether you have “zero-knowledge” or, you're a tech genius, you can benefit from KEEPER when you have to manage secure information. KEEPER allows users to access their information that is being stored on the device and, it stores the information in the Keeper cloud security vault. The cloud based KEEPER syncs with multiple devices. AND, if you're feeling brain dead, and cannot come up with a new password on your own, it will create high-strength random passwords for you. IF you insist that you don't need help with remembering your sensitive information, you are most likely a robot. Sometimes it's just too difficult to keep track of all of the information. KEEPER keeps it safe. Within seconds I can access all of my important information. User id's, passwords and important information that I need in a secure, but handy location. I use Keeper ALL THE TIME!!! It especially helps when I am away from my desktop and use the mobile app. I love Keeper. It is way better than the password app that my wife uses. The only possible negative that I would mention is asking me to back up or to share it with friends too often. I have plenty of bank, state and federal websites/accounts that require me to use complicated passwords or to change the passwords every quarter. No way I could remember the passwords, but Keeper remembers for me! As a small business owner, when I am travelling and on vacation, I still have work to do. I have often saved pertinent info in Keeper, to make sure my sensitive information is readily, but safely available to me. The seamless AES256 interaction and interfaces with my Keeper password vaults on each of my mobile devices, notebook, desktop, and iPad. To top it off, ready access in the web browser for Safari and Firefox. Slow evolution into a vault where recently I've been able to file sensitive files securely. If you want to make strong passwords and associate them to specific applications and web sites, and to user ID's that allow you to be nondescript, then this is for you. I like the fact I don't have to type in my ID or password using Keeper, thus defeating key loggers. AES256 encryption, cross platform and device synchronization, and use of the vault for sensitive notes and files make it a "keeper"! Preventing personal identity loss, using a multitude of passwords in different systems and applications and having them readily accessible. The auto-fill available from the browser-plugin + the mobile app! Couldn't live without it at this point. A lack of reminders on passwords. Someway to mark when a set of credentials was last used would help me phase out records on a mass level as opposed to bulk archiving them. Be comfortable switching from an old notebook or collection of text files for your password needs - it takes some getting use to, but is well worth it! Managing the credentials I use everyday in my personal and professional life. "Cannot Live Without my Keeper!" It's user-friendly, available on multi-platforms, and comes in a variety of choices; individual, family, and business. I use Keeper every day, all day long for personal and business use to store and remember more than 100 passwords for the various websites I work on and manage. My co-workers and I share passwords and keep each other updated on password changes using Keeper. I can seamlessly move from my computer to my phone when on-the-go as well using my Keeper Android App. Generating passwords is simple. You just click the icon to create. I have control over how long Keeper keeps me logged into the computer I am using as well, that way I can change it if I am using a computer that is not my own. I also love that I am able to save additional fields like security questions and notes. Remembering just one password is a must for me. I have not found any problems or dislikes at this time. Simple to use. Easy to add and remove passwords. Love the one-touch password generator. I never have to think about or worry about the safety of my passwords. I love Keeper and the support they give their users. I like that I can access my large amount secure data on any Internet device - Web, or phone. Sometimes the web browser integration is not all that great with functionality occasionally slightly reduced. I also removed the app from my phone at one point due to excessive resource usage. This is ideal if you have a large amount of passwords or other secure data you need to regularly keep track of. I would highly recommend paying the small yearly subscription fee. This is now used to store all of my many, many password and other secure data. It means I can use much more secure passwords. I use it for both my work and my personal secure data. With regular backups performed automatically I am happy it is secure. Only one single password should be remembered. Works on all my devices: Windows, Android, iOS and has integration with web browser. Easy to use interface (folders, attachments), possibility to generate password with different levels of security (numbers, symbols, length). Possibility to login using the fingerprint sensor on Android/iPhone. Rearranging folders via drag/drop functionality would be very helpful. Subscription auto-renewal maybe surprising. Just try it and you'll love Keeper. You won't need to try anything else. "All I need in a password manager"
I have used Keeper for many years and would be lost without it now. It is simple to set up and use and the Chrome extension makes logging into the scores of websites, news services, apps etc I use regularly a breeze. I use it for work and at home so having it on multiple devices and online means I am never stuck trying to remember how to get into anything. Having a cloud backup service which updates everyday means I can relax about losing access to my digital life. As Keeper has kept advancing there isn't anything I dislike anymore. It just does what I need it to do. Can generate and store strong passwords and not have to remember them for all the devices, applications and tools I use for work. Easy to use in setting up usernames and strong passwords, the password generator, and for the migrating user the ability to import ALL of your passwords from another password manager is an awesome feature. In addition, encryption is top notch and access to your passwords across ALL platforms is a value added benefit. The ability to upload documents and to store them in Keeper is a neat feature and if you're extra security conscious, 2 factor authentication is available as is Touch ID for devices supporting that feature. Built-in browser password managers are ok BUT allow anyone access to your information. Keeper knows this and will only fill-in your access credentials ONLY IF you sign-into Keeper first. On the go password creation is achieved by using the password generator and can create complex passwords up to 51 characters long. At work and in personal life, I handle data that needs protection. I can't say I have ever felt safest using another manager. Using Keeper, I can truly say this. I didn't even think twice about renewing my plan---I just did and will continue to be a customer. I really truly like everything about Keeper. If you want ease of use, secure password protection, integration across various platforms, and are thinking about Keeper---don't delay and just begin using it. Organization and security. I am more organized with my passwords and sensitive data and trust it to Keeper to maintain its safety. I like how easy it is to organize the passwords and that it is possible to have access to the data on your phone, personal computer, work computer and any web browser. 1) I would like specialized fields for adding security question information. 2) I would like to be able to set a reminder to change a password in a certain amount of months. 3) It would be nice to have the technology report a percentage how many of our passwords are the same or too similar to each other. 4) I would like to add users to files. For example if a company sales program is used by 4 different salesman, but the sales manager needs access to all the accounts it would be nice to have password sub records. So it would be Folder > Title > User 1. Just give it a try! I am sure once you start using all the features that you will find your workflow more efficient and have less frustration. Sharing passwords with everyone. This was a much improved feature over an Excel workbook in DropBox with many columns. This software was/is a great find for me. It truly has proven it's worth in my arsenal of products to make my life easier. Keeper allows me to store logins and passwords with confidence and ease of use for retrieval. I only have to remember one password now for the many that I use on multiple platforms. Not liking the cost for a single user. The price once was lower, but due to the combining of cloud storage which I never use, the price has more than doubled. Only flaw I have with keeper. Consider lowering the price for a single user. The addition of cloud storage which I don't use has cause the annual price to increase. Not really having any problems because Keeper keeps me in total control of logins and passwords across the web. "Keeper keeping it safe and easy"
I love how easy it is to keep all your private info and passwords in one safe place. With today's logins to multiple websites and apps with different requirements for passwords, there is no way to memorize all that different info. I even have family members info saved before they are technically challenged and airways have issues login in to those favorite websites. There is really not much to dislike. All I can think of are there pop ups I get to use documents back up. When needing access to work related sites and keeping track of employees info. Keeper is an essential part of my work. There is no way I could get work done quickly and effectively without it. Keeper really saves time. "Excellent: quick and convenient "
Its not only the best password app that I've used, its really one of the best apps I use on a daily basis. The security protection is unrivaled and there are so many useful features that it just has blended into my daily routine, saving me time and keeping me safe online. So easy, to use. I use it everyday. Passwords are secure and you only have to remember 1! There is no reason not to go with Keeper. Its best in class as far as I can see. Unrivaled protection, easy of use and great value. Highly recommend. I handle a lot of sensitive data so I'm very concerned about security. Keeper is an essential part of my security network. I couldn't do what I do, without Keeper. In today’s world where we need to have hackproof passwords, and in a work setting, not only do they need to be strong, but have to be changed every 90 days... keeper is a lifesaver. The auto generate feature that allows you to set parameters is my favorite feature. The integration of keeper with web browsers is clunky and doesn’t always work. Having hack proof passwords that need to change every 90 days without worrying about memorizing them. "Great Password Keeper and Organizer"
Ease of log-in. Organization of passwords by group, such as Financial, Work, Websites, etc. You can have an unlimited amount of main 'files,' and an unlimited number of password entries within those files. Each password entry can include just a password, or log-in, password, URL, nickname, and any additional notes (i.e., security questions answers). Short automatic log-out timing. Sharing with another user is not intuitive, unlike the rest of the application. Use the 30-Day free Trial. Upload all of your websites and current passwords. Change those PWs to the randomly generated PWs in keeper, and then tell me what each of those websites says about the security of your password. My professional job has approximately 20 different systems that we use internally. And, being on the service side, we have access to almost all major Original Equipment Manufacture software websites. So keeping all of those passwords organized is a huge deal - but made extremely easy by Keeper. I just have a separate file for work and all the entries are organized alphabetically for me. Just a quick scroll and I have instant copy/paste abilities with log-in and password on the same device. I have shown this application to fellow co-workers, and they have started to use it as well. Between my normal job, my side business, and my personal passwords; Keeper keeps everything organized into groups at the log in screen, and I can quickly navigate to the PW I want, copy and past it; and I'm into whatever program I need. So smooth, updated immediately across multiple devices. "Helps me keep track of all my passwords"
I've been looking for a way to keep my password in a secure way and I've found it with keeper. I don't have to worry about where I kept my list of passwords. I just sign in my keeper, either by using my fingerprint or encode my keeper password. Other than remembering my keeper password, I am confident that I can get it from the app and will be able to sign in in all my online accounts. I also use the app to keep track of my user and password infos on my non-online accounts. I believe that keeper can consider using retina and/or facial recognition as another way to sign in, otherwise I have no other dislike. This is a very helpful app. I highly recommend it! I have solved my problem of keeping track of my online accounts and passwords in my paper notebook and could even opt to use the password generator for my new accounts. I have realized that I only need to give my keeper sign in password to a trusted person and he or she can already access all my usernames and passwords in case I have an untimely death. "Keeper makes your business more secure and productive." I like how simple and easy Keeper is to use. I only have to remember one password and Keeper secures the rest. Without a doubt, everyone knows they need to secure there login information. Keeper makes what was once a complicated and unsecured task something that is simple and easy for all of us to use and completely secure. The days of trying to remember, or worse use the same password everywhere, are over and it couldn't be simpler. Keeper allows us to keep all of our login information secure and easy to access. Sharing passwords with others is easy and secure. They even have a password generator that allows me to use secure highly complex passwords at a touch of a button. I literally use Keeper as part of everything I do online everyday. There's not a single thing I dislike about Keeper. I use it on every pc and mobile device. Keeper is the easiest safest place to secure all log in information. Whether it is client's log in information or my personal accounts, I trust Keeper to keep all my log in information safe. I love that I no longer have to think about my passwords and username. My phone goes with me everywhere and so does Keeper. I only have to remember my Keeper password and then Keeper does the rest. I am more secure in this "stolen identity type world," because Keeper generates highly effective passwords. This is the only app that I have ever tried that I have been 100% satisfied. Even though I am 100% satisfied with Keeper, they continue to find ways to improve the app. There has never been a time when the app didn't work. It is so user-friendly. The app walks you through each step of the way. You can easily find the account you are looking for in one simple step. You can edit any of the files with the click of a button...."edit," then simply save any changes. You can add additional files just as easily. There is absolutely nothing about the Keeper app that I dislike. It is the only app I have every used that has fully met and exceeded my expectations. This is a must have for business and personal use. Everyone needs to be protected online and Keeper makes that possible. I can have more secure online accounts with the automatic keeper password generator. Again, I don't have to think about the password because it is always at my fingertips...connected to my sidekick, AKA my cell phone. "Simple Platform to save business passwords"
It's user-friendly and it is easy to organize the passwords. Our organization can add, edit, delete and store all the passwords in one location. It comes with MFA to access the account. It can generate custom password options according to our need. We can use the trial version for our testing purpose also. Folder structure option is somewhat difficult to handle for a new user. This is ideal if you have a large number of passwords or other secure data you need to regularly keep track of. I would highly recommend this product if you are looking for a simple one. We are keeping our server environment password and customer data in Keeper. "My search for the ultimate password protection program is finally over!" I love the fact that it's cross platform and will work anywhere, on any device. The tight integration with Google Chrome is a huge plus since I work in an environment that makes heavy use of Chromeboxes/Chromebooks. I'm also a big fan of the integration with the fingerprint reader on my Android phone. One touch and I can log into whatever site I need. The fact that Keeper also integrates with apps on the phone and not just websites is something that I use and appreciate on a daily basis. There's not much to dislike, but I would like to see integration with the fingerprint reader on my laptop so that Keeper functions like it does on my phone. I would also like to see a dedicated "wallet" section like 1Password has. Those are minor quibbles though. Jump in and try it out. There are other solutions out there, and I've tried many of them, but I've yet to find any other program with the ease of use, features, and cross-platform support of Keeper. I'm the network administrator for a medium sized school system, and password security is absolutely essential. Keeper allows me to have unique, complex passwords for different systems and websites which makes my network more secure and my job a lot easier. Our infrastructure is largely built around Chrome-based devices, and the fact that I can access Keeper from any of them is invaluable. "Great app! a must have for everyone!" That i need only remember one single password. I like the fact that i can login using the fingerprint sensor on my iphone. URL's to websites don't work well on the iPad and iPhone version. clicking on them results in a blank screen. Integration in the internet browsers on the iPad and iPhone would be nice to have also. Making new folders and moving items should be made easier like in windows explorer (drag and drop functionality). it's quite a task if you want to rearrange accounts and folders. It takes a while to get used to the fact you have the app. I tend to be stuck on my 'old' passwords which are easy to crack so when installing it make the app generate new (and safer) passwords for all your your websites etc. and install it on every device you have. The chance you keep using easy passwords is smaller since, even the most impossible to remember passwords are not an issue anymore; keeper remembers them for you so why fear! The Keeper app allows me to manager my private passwords, as well as my business team passwords. Great intuitive app and good customer support! Personally if find the design a bit outdated. With new features it's not always clear how to use them. Keeper will give you an clear and easy to use overview of all your password management. Private and business wise. I was stuggeling with my passwords in my buisiness surroundings. Now I can share the passwords i want with my teams. Great...! 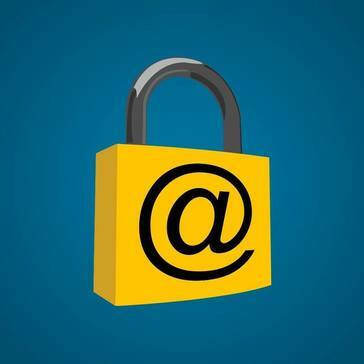 This app is a great way to keep all your emails, users and passwords for all your personal and business logins and information safe all in one place! I'd say it's a keeper! There is nothing I really dislike about this Keeper, often times a pop-up will be in the way saying I need to sync or back it up, which I don't mind it till I have time to do it. I wouldn't change the pop-up otherwise I may forget to sync or back up the system. Very useful and user friendly for personal and business alike, I strongly recommend it if you want to create strong passwords or can't remember logins or passwords. Many login sites require special characters and Keeper is a great way to create a special password or generate a strong passwords which is extremely helpful. Keepersecurity. Com is a softwere for generation and protection of passwords. Very useful on a daily basis. We log in at any time, with Keeper your passwords are always available. I have had lots of problems losing login / passwords passwords in the past. This causes a lot of damage. After the acquisition of Keeper never again lose an email login or password or website. Payment method. Keeper needs to add MXT martexcoin. Org as payment currency. There is a Brazilian community with more than 200 people who use MXT. Keeper adding this Brazilian digital currency can increase the number of people served in Brazil. Todo usuário de web ou simplesmente usuário de computador deve ter o keeper como ferramenta de segurança. When a professional or a business loses the login / password of a business or email site generates untold damage. There is a loss of data, generates wasted time to retrieve information and generates them again. And the worst can also be a login / password to access a wallet with Fiat or digital coins, direct financial loss. Keeper brings secure information and saved money. "Defeating a Harried Mind "
I have used Keeper for at least 5 years. It keeps my all my vital alphanumeric data (like licenses, certifications, policies, and passwords) in order and stored safely, thus far. I get snarky prompts to purchase a function, write a review, or recommend the program to a friend. While I enjoy clever sarcasm, shaming/guilting me/pressuring me into something doesn't work. It does the exact opposite. I do not use Keeper for official business. I cannot due to HIPPA. However, it does enhance my ability to do certain aspects of my work in a timely manner. Easy enough to share access between users. Control access is pretty good. Browser extensions are unstable (often get warnings it needs to be stopped). Lack of basic "versioning" of account password (very useful in an organizational setting when many people are editing entries). If you only have basic, cloud based requirements among team members. If you are doing this for yourself, I would recommend using KeePass or other open source tools. They have advanced features and are free. Controlling access to "shared" accounts and passwords without having to expose the password. Having a "single source of truth" for users and password. "Access to everything, from anywhere with one solution"
What's not to love about accessing all of your passwords with one password. It's secure, easy to use and manage. I use a lot of software for my role and Keeper easily logs me into everything. It's really that simple for a very feature rich solution. Can't say I have a single dislike. Put your passwords into your vault, log into everything seamlessly. I used to store all of my passwords on a google drive which isn't really secure. Keeper's vault put's my mind at ease about storing the passwords in a cloud infrastructure since it has AES 256 bit encryption. The benefit is securely storing my passwords and easily/securely accessing all systems I use on a daily basis. "Using Keeper for multiple years now"
The best part of Keeper is the integration with Chrome and other browsers. I can easily set up new accounts at a moment's notice without needing to use an insecure temporary password that gets lost or that is easily hacked. This allows me to seamlessly continue on with what I am doing while knowing that the account I just created is secure and doesn't compromise my other accounts. The multi-account features are improving, but are still not bullet proof. Occasionally, despite my best efforts to force it to do otherwise, Keeper will choose a wrong account or a wrong field in the correct account (login name and email come to mind) when trying to log in or change profile information. Secure passwords that I do not need to make up.